There is considerable interest by both pharmaceutical companies and FDA to use the information provided by PET imaging to help decrease the cost of drug development and the time it takes to bring these new drugs safely and effectively into the hands of physicians and patients. There is also considerable interest amongst the nuclear medicine community to bring new, promising PET radiopharmaceuticals out of the laboratory and through FDA’s regulatory gauntlet into clinical practice. In both these instances, the FDA expects the PET scanners used in these clinical trials to generate accurate, reproducible and harmonious quantitative data, regardless of the manufacturer and PET scanner model used. However, significant differences in quantitative scanner performance have confounded these efforts. This scanner-dependent variability degrades the quality of clinical trials by requiring more subject accrual and/or leading to inconclusive results. 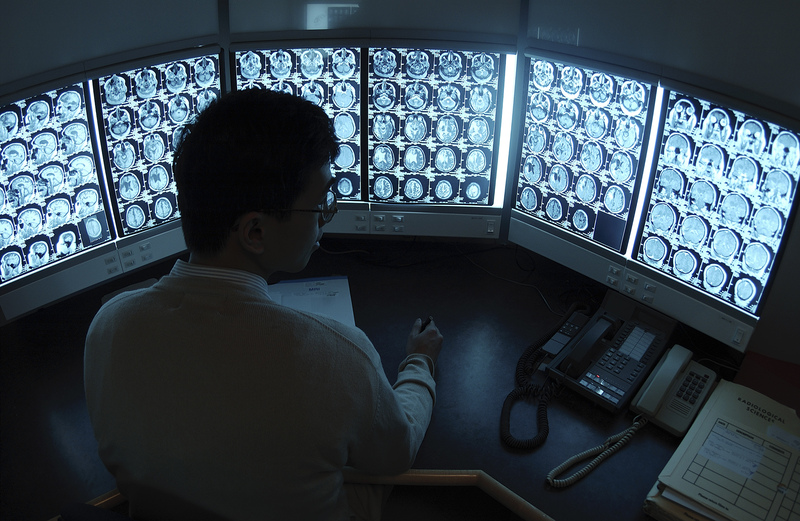 In September of 2012, in response to the need for better quantitative harmonization, the National Cancer Institute funded a five-year, $2.6 million initiative to identify optimized and harmonized PET reconstruction parameter sets for all recent model PET/CT scanners to generate quantitatively identical images for use in clinical trials. John Sunderland, PhD (University of Iowa), Paul Kinahan, PhD (University of Washington) and Joel Karp, PhD (University of Pennsylvania) are spearheading this project, now in the middle of its third year. Scientists and engineers from GE, Philips and Siemens are actively contributing to the project, and the CTN is playing a coordinating role. Currently, the research team has collected data from 17 scanners representing 10 different scanner models. Academic PET sites participating in the project are imaging the NEMA Image Quality phantom using a modified protocol that includes 12 different sphere sizes from 8.5mm to 44 mm to characterize quantitative characteristics. The research team is in the process of identifying reconstruction parameter sets for each scanner that shows the most promise for universal quantitative harmonization. The investigative team is also measuring the noise characteristics associated with several scanner metrics (SUVmax, SUVmean, SUVpeak) so as to assess statistical variance, another critical measurement parameter. The research team is also working closely with the NCI’s Quantitative Imaging Network (QIN), providing carefully acquired “ground truth” phantom data sets designed to challenge novel region segmentation algorithms being developed by QIN members.